We’ve got good news (at least from our perspective): you’re in sales. It’s good news because salespeople drive their own fate. If you can convince another party to buy, to believe or to act in accordance with your recommendations, then you control your own destiny. You may not have a commission-based pay plan; you may not have a quota. You’re still in sales. For presenters this is doubly the case. If you get on stage without a clear idea of where you’re trying to move people’s hearts and minds, you’re really wasting everyone’s time. The whole point of the exercise is to persuade; if you’re not persuading, let’s hope at least that you’re funny. 1. Begin with the end in mind. When you stop talking, what do you want the audience to do? Whatever the answer is, ask yourself what level of curiosity, conviction or agreement it is going to take to reliably elicit that reaction. How can you cultivate that curiosity, conviction, or agreement? Beginning with the end in mind allows you to work backwards through your presentation and determine what to actually talk about. 2. Always be closing. Don’t just cover ideas—close on ideas. As you move through your deck, don’t just assume they’re going along with it. Check your audience from time to time. Trial close them and ask questions. Great salesmen almost always know before they get to the end of their pitch whether or not they’re going to close the deal. Start closing at the beginning and never stop. 3. Follow up. Any salesperson will tell you it sometimes takes 5 or 6 touches to make the sale. Presentations are the best way to cover all your key points, but you should have a pre- and post-presentation communication schedule that integrates with the message. The pre-presentation communications should fertilize the audience for the ideas and suggestions you’re going to make; the post-presentation communications should focus on deepening the agreement and sifting out newfound followers (or, in “true” sales, warm leads) from those that didn’t quite buy it. 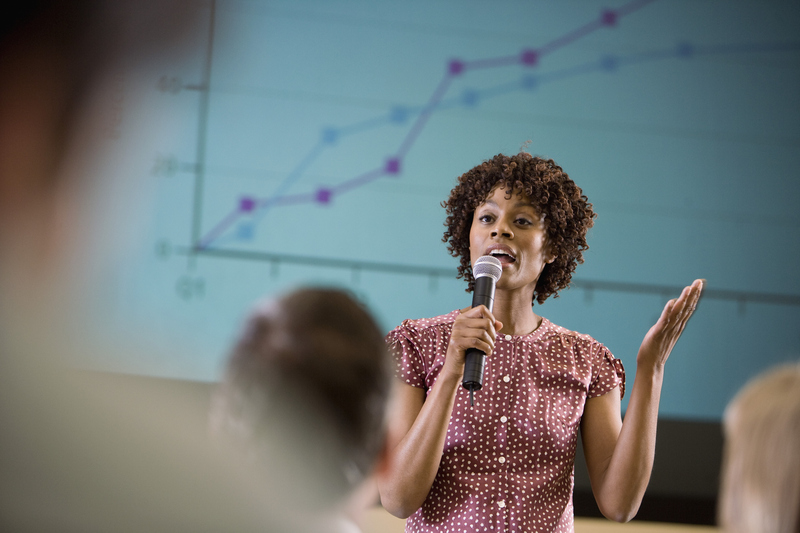 This basic roadmap will help you sell effectively on the presentation circuit. These recommendations apply equally to the knowledge-presenter (who has no specific product or service he is offering to the audience) as to the “commissioned” salesperson. The fact of the matter is that living is selling: it’s just that only a few professionals realize that’s the game, regardless of position or title. Those of us who do recognize this fact have the opportunity to run with our agendas in our organizations, industries and communities. Question: Does that deck you’re working on really sell?